The mission of Jefferson County School Counselors is to provide all students with a comprehensive school counseling program centered around national and state counseling standards helping students attain the highest level of achievement through their growth in academic, career and personal/social domains in partnership with administrators, teachers, parents and community. Student counseling services are provided by counselors for ALL students, through individual and /or small group counseling, classroom guidance lessons, collaborative meetings with parents, and consultations with teachers, staff and community stakeholders. The comprehensive school counseling program focuses on identifying and teaching students those skills that are developmentally appropriate to maximize the success of every student mentally and emotionally using the American School Counseling Association model. 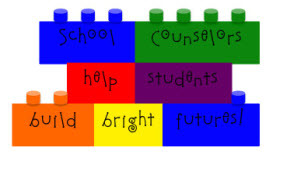 Each school counseling program develops goals and programs delivery bases on their school data and identified needs related to achievement for specifically designed activities and interventions for students. All students can achieve and meet high standards that will result in college and career readiness. To address the developmental needs of all students a comprehensive school counseling program is needed using state and national standards planned, managed, delivered and evaluated by professional, licensed school counselors. The school counselor's role as a leader in the schools is to advocate for all students, support teachers and administrators, collaborate with parents and community and provide services to ensure the maximum growth of every individual student. Guiding the development of the comprehensive school counseling program is the through analysis of school and student data to maximize student achievement. Adhering to the ASCA Ethical Standards for school counselors ensures a quality of professionalism assuring the highest moral principals are applied. The School Counselor's office is available to students and parents during regular school hours. Contact your school to schedule an appointment.